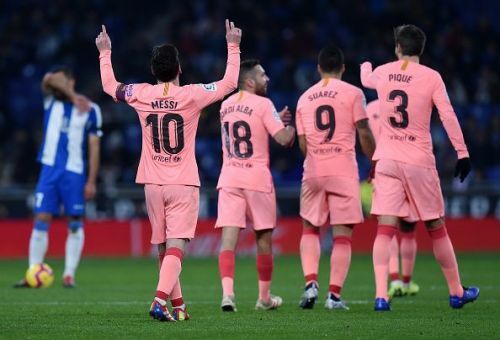 Barcelona travelled to Espanyol to play the Catalan derby in LaLiga, and the away side emerged as comfortable winners, thrashing Espanyol 4-0. Lionel Messi opened the scoring with a free-kick, and Ousmane Dembele doubled the lead soon after. Luis Suarez made it 3-0 with a finish from a tight angle, and Messi netted another free-kick in the second half to wrap up the points for his side. Espanyol did score through Oscar Duarte, but the goal was chalked off by VAR due to an offside infringement spotted. The game was a tough one for Espanyol to take, and their miserable record in this fixture continues. As he has done for most of his career, Lionel Messi ran the show again on the pitch, leading his team to a comfortable win. He opened the scoring with a glorious free-kick, and then he set up Dembele for the second goal after a dribbling back and forth. The Argentine rounded off the scoring with yet another free-kick, and this one was even better than the first. 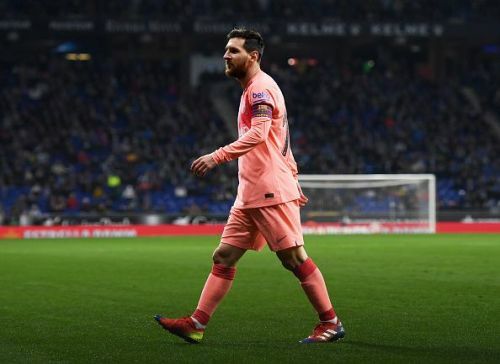 The week which elapsed was not a kind one for Messi though, as he finished fifth in the Ballon d'Or rankings on Monday, which is arguably far less than he deserved. Then Brazilian legend Pele said that Messi 'shoots with one leg, only has one skill and doesn’t head the ball well.' He said that both himself and Diego Maradona were better than the Barcelona star. That's the way to shush your critics, right, Lionel? He also became the only player to score 10+ goals in 13 consecutive LaLiga seasons. Just a stat.